Let’s chill out on this Sunday with some great Jerry and Trey YouTubes. Specifically, let’s take a look at their solo endeavors including a full JGB show from 89 and some of Trey’s recent orchestral performances. How sweet it is to see both of these musical geniuses outside of their ‘day jobs’, doing what they love and keeping the music flowing. 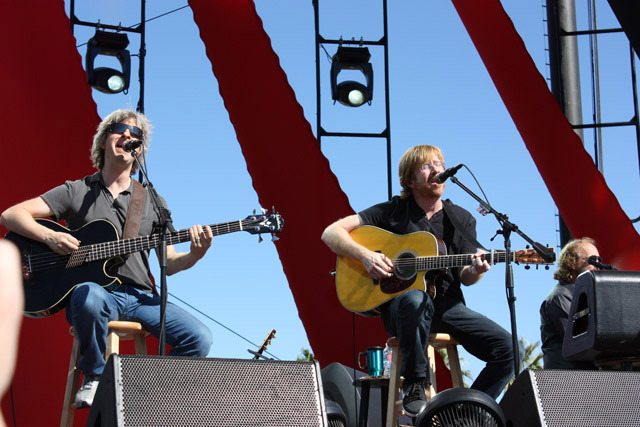 Acoustic Sundays make a triumphant return today with a breathtaking 4-camera, SBD Audio, full-length, pro-shot video of Phish’s Festival 8 Acoustic set: check it out here! 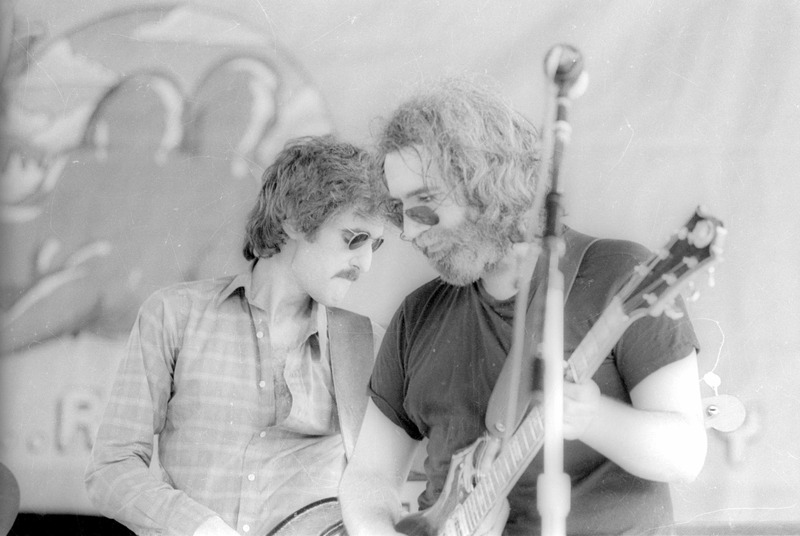 For all you acoustic-heads out there, be sure to also check out our first installment of Acoustic Sundays with a crystal-clear SBD recording of Jerry Garcia and John Kahn, live acoustic from the Oregon State Penitentiary in 1982. In honor of Jerry’s Birthday today (August 1, 1942 – August 9, 1995), we’ll celebrate by sharing some deep cuts and rarities from a whole array of Jerry solo projects. For Jerry lovers out there, you’re gonna love this and are sure to agree that it is a needed addition to your collection. Enjoy, and Happy Birthday Jerry, we love you! Big shout-out to Matt for the mix, you rock! First, the All Good Festival announced their Daily Lineup which looks like a lot of fun, though admittedly a bit cheesy and poppy. For some reason, they seemed to have packed a lot of the best acts into Sunday’s lineup. Why they wouldn’t give DSO, BK3, or Tea Leaf Green main day or late night shows is beyond me. In any case, check it out, July 9-12 at Marvin’s Moutaintop in Masontown, West Virginia. In Dead news, Jambase put out this review of The Dead’s 5/02/09 final performance at the Philadelphia Spectrum. They’re got some nice pics, but I don’t think this review holds up to the one offered up here. Also, The Dead released a series of new videos from their 09′ tour. They picked some choice moments for the musical segments of these vids, definitely worth a watch. One of the 2 most recent videos feature Branford Marsalis offering up a fresh perspective on the Dead, their approach to the music, and the repetoire while the other has Bob Weir embarrassing himself with an attempt at human speech. The mindless dribble that comes out of his mouth these days is only second to his “rhythm guitar”. The dead kick off the closing west coast leg of their 09 tour today with a stop in Colorado. Rider, anyone? Moving on to something we really dig over here – let’s check out some bootlegs from the 70’s when, according to Branford, ‘Things were just easy’. Download both shows right here! Download the 4-Disc Mix Here – Quick easy download in mp3 itunes-ready format!